The reason why a user now days prefer to switch Mac OS to Windows is the improved performance of PCs over Apple machines in different scenarios. The wider compatibility of third party applications with Windows, its high accessibility in diverse arenas, ability to update the hardware etc are some of the powerful grounds that compel users to look out for a prominent Mac file converter to Windows PST, EML, MSG. 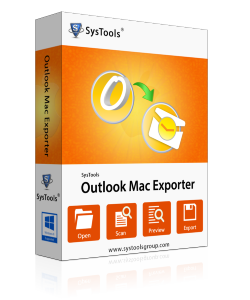 With our Outlook Mac Exporter tool, the process to transfer Outlook Mac emails, contacts, calendars, notes and journals to Outlook Windows. The software helps to convert OLM to Outlook Windows PST file format so that mailbox data from Outlook Mac is transferred to PCs easily. The interface of the software is so designed that users successfully transfer OLM to PST in minimum time utilization. The software is brilliantly assembled with dual conversion modes: Normal and Advance Mode that give users a comprehensive set up to migrate crucial mail data when you switch Mac OS to Windows Outlook. Talking about the email clients embedded in both the Operating Systems–Microsoft Outlook. With Windows, Outlook (97–2013) creates PST file for saving mailbox data while for Mac Outlook 2011, the data is saved in Outlook archive. The reason why most of the users find Outlook in PCs better than Mac Outlook is one has to import the data to OLM file. This is because the data cannot be used until it is saved in OLM file format. Therefore, when a user switch Mac OS to Windows and data from Outlook 2011 to Outlook Windows is to be transferred, it is mandatory to adopt OLM Converter pro key. For analyzing the software potential to convert OLM file to PST format, you can download trial version of the tool. With freebie edition, users can convert 25 items from OLM to PST, EML, MSG with New Windows 8 and Outlook 2013 Support. For Converting UNLIMITED Number of files from Outlook Mac to Windows PST while switch Mac OS to Windows, licensed version of the tool should be purchased. After evaluating the performance and quality with value determining version, you can purchase the Fully Operative Version to see the functionality in full swing. Easily buy full edition and complete convert Outlook Express files to Outlook files.